Despite many key defence industry leaders identifying naval engine manufacturing as a capability gap in Australia, one Offshore Patrol Vessel tenderer believes there is an opportunity for a company to build the engines in Australia. Global procurement director of Damen Jacob Biemond was hosted by Penske Power Systems Perth as part of the Dutch shipbuilders bid for the $3 billion OPV project. After visiting Penske's engine overhaul workshop, Biemond said he saw great opportunity for Penske, as the MTU diesel and gas engines and power systems partner in Australia, to build the engines that Damen has proposed in their SEA 1180 OPV bid. "When you already have the skills required to disassemble and overhaul an engine, like Penske is doing, assembling a brand new engine is well within capacity," Biemond said. "I was very impressed by the efficient setup of Penske’s testing facility and the professionalism of all their operations." Biemond said he was looking to open discussions with Damen’s headquarters in the Netherlands with a view of exploring how Penske could play an increased role in the construction of the engines for the SEA 1180 vessels in Australia. This could potentially involve the transfer of a proportion of the machining activity of the core component within engines to Penske, in order to maximise use of the capability that currently exists in both Penske’s Perth and Sydney facilities. Penske's WA state manager Leigh Henderson said the company was looking forward to exploring opportunities to join Damen's supply chain. 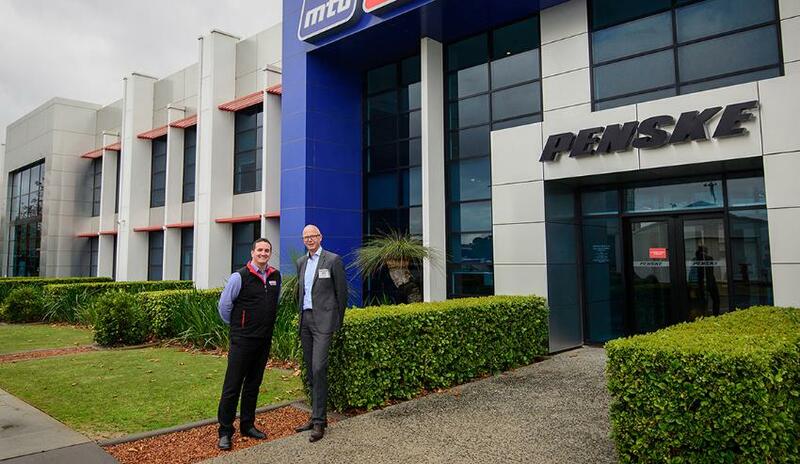 "It was a pleasure to host Jacob at our Penske Perth facilities and to show him the range of our capabilities," said Henderson. "We look forward to further exploring opportunities with Damen to increase our participation in their extensive supply chain." Penske is also a subcontractor for OPV contender Lürssen's bid. Lürssen and Damen have both teamed with SA-based ASC Shipbuilding and WA-based Forgacs (a subsidiary of Civmec) as part of their bids for the project. Fassmer has entered into a 50-50 joint venture partnership with Austal. The vessels will commence construction in Adelaide in 2018 before moving to Western Australia.